Discover the story of how Lewis Carroll came to write Alice's Adventures in Wonderland. 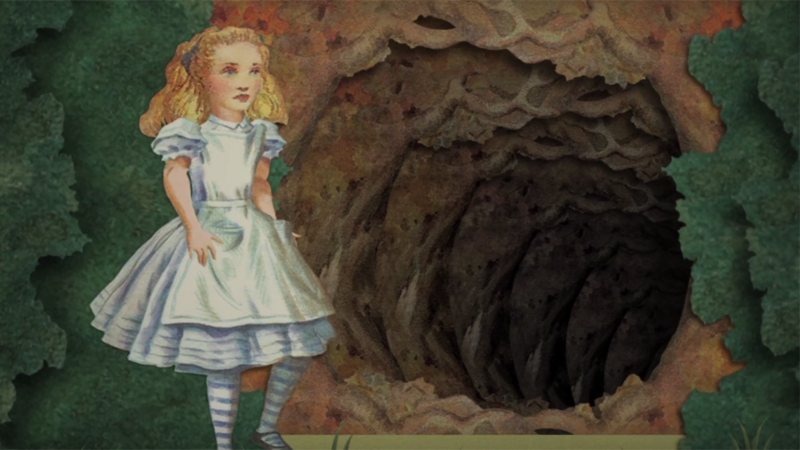 Discover the story of how Lewis Carroll was inspired to create the world of Wonderland. 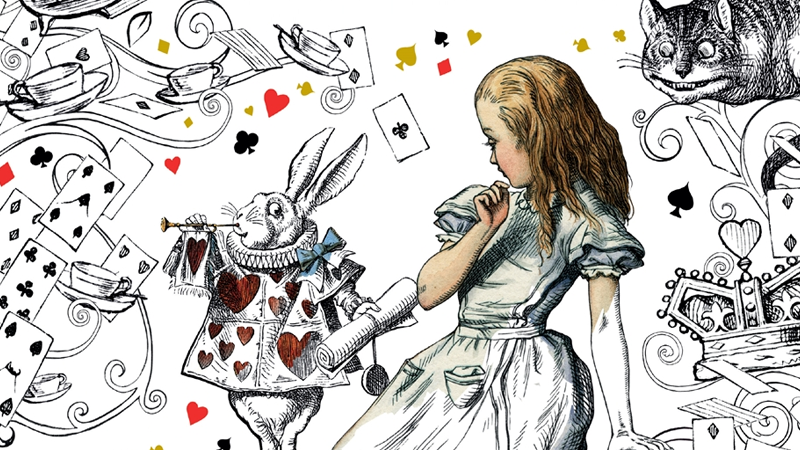 The story behind Alice’s Adventures in Wonderland begins with the inventive, playful mind of Charles L. Dodgson (the man behind the pen name Lewis Carroll). A natural storyteller, Dodgson delighted in inventing new stories to entertain his friends. One summer’s afternoon in July 1862 Dodgson rowed up the Thames from Oxford to Godstow with his friend Henry George Liddell and Henry’s eldest daughters, Lorina, Alice and Edith. It was on this ‘golden afternoon’ that Dodgson first dreamt up the story of Alice and her adventures – inspired by the real little Alice Liddell who asked for a story to keep them amused. The Liddell family loved the tale of Alice’s adventures so much that at the end of the day Alice asked Dodgson to write it down. It would take him two and a half years to complete, but from this afternoon of spontaneous storytelling the Alice in Wonderland we know and love was born. On 19 October 1863 Dodgson was introduced to the publisher Alexander Macmillan in Oxford by Thomas Combe, director of the Clarendon Press and printer to Oxford University. Macmillan had recently published Charles Kingsley’s children’s novel The Water Babies to much acclaim. Realizing a similar potential in Dodgson’s tale, Macmillan agreed to publish it under Dodgson’s pen name, Lewis Carroll, and on a commission basis: Carroll paid for the printing and marketing, while Macmillan was paid a set commission on sales. This was to be the start of a long and successful publishing relationship between the two of them – Macmillan would go on to publish all of Carroll’s books, as well as many works written under his own name on mathematics, geometry and logic. After a couple of alternative titles for the story were rejected – Alice Among the Fairies and Alice’s Golden Hour – the book was finally published in 1865 as Alice’s Adventures in Wonderland. The entire print run sold out quickly and Alice’s Adventures in Wonderland became a publishing sensation, adored by children and adults alike. It was not only Carroll’s wonderful storytelling that captured readers’ imaginations; the illustrations, cleverly incorporated in to the text, brought the story and characters to life and have become part of the book’s cultural phenomenon. They were the work of John Tenniel, a lead cartoonist for the political magazine Punch, whose work Carroll greatly admired. 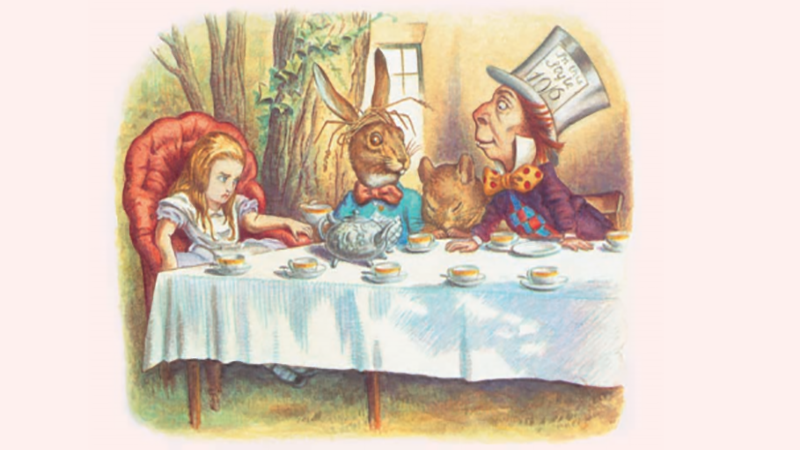 Their collaboration has given us the iconic Alice imagery that remains in our collective consciousness to this day. To date, Alice’s Adventures in Wonderland has never been out of print and has been translated into at least 176 languages – a story of the timeless joy of pure storytelling, and the mutual passion and vision of author and publisher.